08/06/2018 - Often blended with its sister Roussanne, Marsanne is not a very well known grape. Add to this that the winegrowers themselves say it is very difficult to master. What’s more, it is not part of today’s fashionable grapes club, from the consumer’s point of view. And yet! On the right soil, and in the right winemakers’ hands, it can produce magnificent wines. No wonder if some 100% Marsanne wines like L’Orée, the Hermitage from Chapoutier, have seduced the Wine Advocate and are now ‘cult-wines’. Marsanne is part of the Sérine family; its name comes from the village of Marsanne, near Montélimar. It is one of the 6 main white grapes of the Rhône Valley (but not in Châteauneuf-du-Pape). It can also be found in the Swiss Valais, in California, in Washington state and in Australia (Victoria). A late-flowering grape, it ripens quickly; it is both strong and productive; this is why it has to be pruned quite hard, so as to limit its yield. It is at its best on poor and stony soils (granite, with or without limestone); it likes cool expositions like those on higher grounds in the Northern Rhône. Sensitive to mildew, aphids and botrytis, it has big bunches but small berries. It demands a lot of attention from the winemaker. As far as the wines are concerned, they show a golden colour, a floral nose (almond tree, honeysuckle), a soft body with a low acidity. Some glycerol alleviates the taste of alcohol. As its more celebrated brother the viognier, Marsanne’s balance mainly comes from its minerality. The better Marsannes show a good ageing potential. But one has to take into consideration its timeline; very seductive during its first year, full of fresh fruit and flowers, its often closes up afterwards, and bitterness comes to the fore; once this “teenage issues” are over, Marsanne wines deliver to the full a complex set of aromas and tastes. 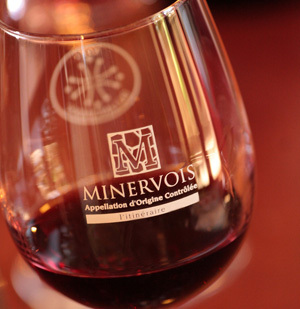 The greatest cuvées – especially in Saint Joseph and Hermitage- have an impressive ageing potential. We tasted 28 wines made with Marsanne in purezza. 27 came from the Northern Rhône, more precisely from 4 of the 7 AOP allowing Marsanne. The last one was an IGP Méditerranée from the Southern Rhône. Unfortunately, we could not obtain Marsanne wines from Switzerland, where it is grown under the name of Hermitage. Only white wines are made in Saint-Péray, including sparkling wine, once very important for the region, but now representing a mere 15% of the production. 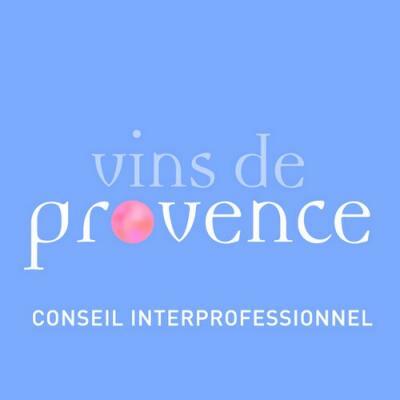 These last few years, some energetic winemakers from other appellations more to the North have been buying plots of land in Saint Péray so as to expand their range. This has led to a real renaissance of the southernmost of all Northern Rhône appellations. 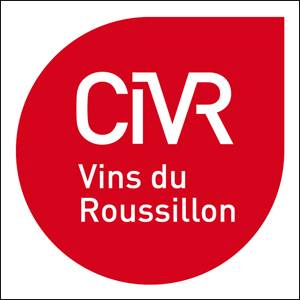 A winemaker in Cornas – where only red wine is made –Alain Voge built up its estate step by step from 1965 to 2004; from the beginning, he has been considered as a pioneer. Especially when he began to use Burgundy barrels to vinify its still Saint-Péray. Since 2004, he has been working in partnership with Albéric Mazoyer, ex-winemaker for Jean-Luc Colombo and Michel Chapoutier. Since 2016, the 13 hectares of the estate are organic-certified. This Brut nature (second fermentation in bottle) is left 42 months on lattes; The 30 year-old Marsannes are on two blocks, Les Grandes Blaches et Le Perrier; the first on limestone, and the second on pure granite. A rich, complex wine, full of depth. Apple, aniseed, pineapple on the nose. Lively and pleasantly bitter on the palate. Hints of liquorice. A vinous Saint-Péray. A tribute to Louis Alexandre Faure, whose first bottle of sparkling Saint-Péray was uncorked in 1829 at the foot of Château de Crussol. This wine is made from 40 year-old vines planted on eroded. It was aged for 36 months on its lees. Very floral on the nose (lily of the valley, almond flower, camomile), juicy and fresh on the palate, with hints of vanilla and citrus. Nice bitter-salty finish. Ongrie is the new name of the revolutionary Cuvée Boisée or Terres Boisées, born in 1984. Ongrie is the name of a 1,5ha block of vines on limestone and clay with some colluvial granites. Citrus and rose petals on the nose, with a pinch of white pepper and hay. Rich and velvety on the palate (pear, apple, yellow melon). Long and subtly mineral finish. When elegance and strength flock together. Château de Crussol is the cradle of the Appellation. 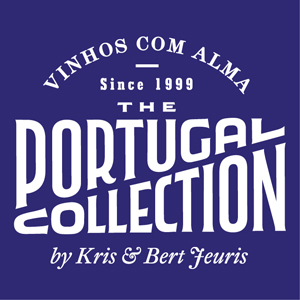 The wine is made from 80 year-old vines planted on granite with limestone colluvial soils. Biscuit and white peach on the nose, with lime-honey and toffee. Fresh fruit on the palate, both lively and smug. The mineral finish hesitates between earth and air. A well balanced wine with a good ageing potential. After reviving the Seyssuel terroir, Cuilleron, Villard & Gaillard launched a range of single vineyard wines. Les Faures is one of those, a 6,000 plant-per-hectare vine on granite and saprolite, with a 35 hl/ha yield on average. 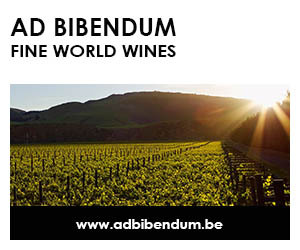 The wine is fermented in French oak barrels, the aged for 17 months on its lees. This historical house of the Northern Rhône has been owned by the Frey family since 2006, and the wines are made by oenologist Caroline Frey. This Crozes-Hermitage (one of her 100% Marsanne wines) is made from a 6ha block of vines on shingle hills. Exotic fruit, peach, apricot and honey on the nose. Basketfuls of fresh fruit, biscuit and marzipan on the palate. Both delicate and flavoury. This top cuvée comes from 30 to 100 year-old vines on the clay and limestone soils of Les Pends, in Mercurol. The yield is only 32 hl/ha. David Viale ferments his grapes in one or two year-old demi-muids and uses bâtonnage only when needed. Then the wine is aged for 12 months in the same barrels. The wine is clarified but not filtered. Wood notes dominate the first nose, but makes place to white flowers and roses, then spices (curcuma). The hints of wood come back on the palate, then enter some salty notes, on an oily mouthfeel. An elegant, well balanced and complex wine. Yves Cuilleron owns some 15ha in Saint Joseph, out of which 2.4 ha are plated with Marsanne (10,000 plants/ha). This particular cuvée is made from 50 year-old vines with an East-South-East orientation, on the hills of Verlieu (granite and sandy soils et sable). The wine is fermented and aged in barrels (it stays 9 months on its lees). Clarified and filtered in bottle. Powerful on the nose (vanilla, honey, acacia and curcuma, velvety on the palate, with fresh citrus notes and a pinch of salt. Full bodied, but elegant. Set in Mauves, whose wines where loved by Victor Hugo, the Coursodons manage a 16 hectare estate, of which 2.5 ha are white grapes. They produce only Saint-Joseph. Their top cuvée is the mythical Paradis Saint-Pierre ; this Silice is a middle-range wine. 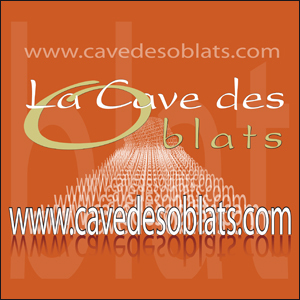 It is made from slope vines, on the celebrated and sheer slopes of Saint-Joseph et Dardouille – half on granites and half on granite and clay/marl. Manual harvesting (obviously). Yield: 38 hl/ha. Sorting of grapes. No malolactic fermentation. 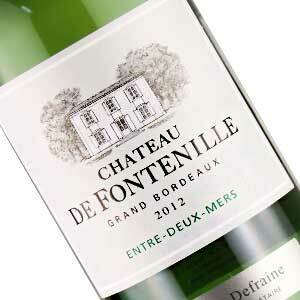 This estate has 10.5 ha in Saint-Joseph (3.5 ha of which are white grapes blanc) and 2 ha in Saint-Péray. This is where you have to go if you really want to understand what is Marsanne. 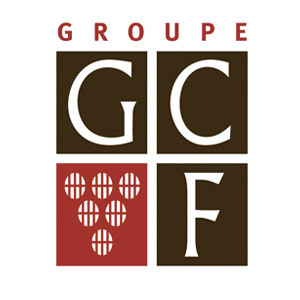 But getting Bernard and Fabrice Gripa’s wines may prove difficult, nowadays. For want of a sample, I had to fetch a bottle in my own cellar, where rested a 2011. Which allowed us to taste a somewhat older Marsanne. Le Berceau is made from old vines planted on the granite soils of Saint-Joseph and Peygros. Part of the wine is fermented in oak barrels (new and not new) to give it more structure. Malolactic fermentation. No woody notes on the nose, just spices (curry), and yellow peach, butter toast and toffee. Rich, expressive and delicately mineral on the palate, with hints of verbena. A long, tense finish. A meditation wine. Two masterpieces from Hermitage to finish. Two well-known houses. Two styles. Michel Chapoutier is an ever-expanding house. On the Hermitage hill – its base camp – they reach summits, if one has to believe the international critics. Our panel does confirm. This wine is made with old vines on the top of Les Murets – 70 year-old Marsannes planted on alluvion soils from the ancient riverbed of the Rhône. Half of the wine is vinified in demi-muids, the rest in tanks. It stays on its lees for some 12 months. Delas Frères manages 10ha on the Hermitage hill. Their Marsannes – some over 100 years– are planted along with a small percentage of Roussanne on the lowest part of the prestigious terroir of Les Bessards and on Le Gros des Vignes. Granite soils, mainly, with a little clay. Alcoholic (and partial malolactic) fermentation take place in oak barrels (new, one year and two year-old). Then it is aged on lees between 9 to 12 months. The wines of each vineyard is vinified separately, then blended in a tank two months before bottling. Candied citrus, honey and toast on the nose. Opulent, ripe fruit on the palate , some fresh mineral notes, very delicate; the complexity of the refined wine reveals itself little by little. This tasting was not so easy to organise (the devil being in details, all the more so as these are wines with an erratic lifeline) but convinced us that Marsanne can produce grand wines. This makes us want to try and organise another tasting, with older wines, this time (over one decade, at least) for its complexity reveals itself with age.